In the Job Queue table, between the 'View' and 'Kill' button is the 'Rerun' button. Clicking this button will make a copy of the job and run it again. 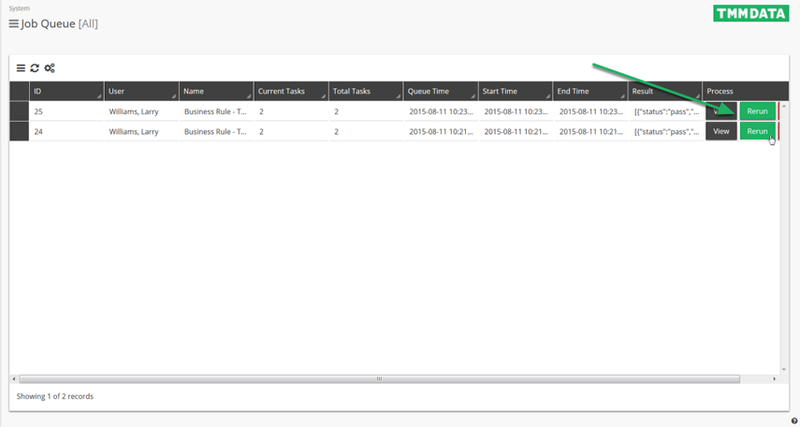 Zoom: In the Job Queue table, between the 'View' and 'Kill' button is the 'Rerun' button.